At the end of each month, we think twice before buying things simply because most of us are helplessly broke. Do you know why this happens? Well, the answer is, it happens because we don’t have a pre-set budget. Planning ahead will not only reduce your stress level but also help you to deal with ‘unexpected expenses’ like medical bills and car repair bills etc. A budget helps you to prioritize your outgoings and manage the money effectively. Apart from this, by keeping a track of your expenses, you can also figure out where does all your money goes. 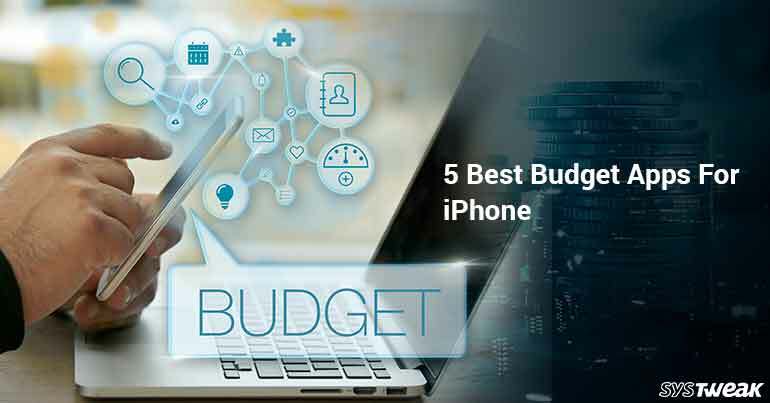 So, let’s check out 5 best budget apps for iPhone in 2018 and prepare a tight budget. Money Lover is a friendly and handy application that helps you to manage your personal and family finance on a phone or tablet. It keeps a track of your daily expenditure. The app provides bar and pie charts, which gives you an accurate picture of your expenses, income and balance as well in a specific period. PocketGuard is one of the best budget apps for iPhone in 2018. It helps you stay on top of your finance and make better financial decisions. It allows you to easily sync all your personal financial accounts in one place such as bank accounts, credit cards, loans, savings, and investments. No matter how physically and mentally prepared you are, life always throws curveballs that you never expect and savings can help us deal with the situation. So, start using these great apps, save money and make your dreams come true!